Banking Industry in Bangladesh is fully guided by the Central Bank, i.e. Bangladesh Bank. However, different bank has different management system, operational techniques and different guidelines. It makes the different views of different banks on the same topics & terms. The central Bank faces problem regarding regulating banks for there various practice. So Bangladesh Bank decided to frame a unique guideline for all of the banks, which would be classified as “INDUSTRY BEST PRACTICE”. A core area of concentration of this study was Foreign Exchange Division, so this study is concerned with the specific area of managing Import & Export procedures to promote logistic support in business. To know about the foreign exchange mechanism of the bank. To identify the risk involved in foreign exchange proceedings. The risks involved in repatriation of export proceedings. To know the regulation and deregulation regarding Foreign Exchange in Bangladesh. Annual Report of AB Bank. Internet and various study selected reports. 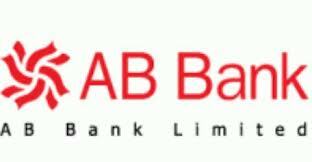 AB Bank Limited, the first private sector bank under Joint Venture with Dubai Bank Limited, UAE incorporated in Bangladesh on 31st December 1981 and started its operation with effect from April 12, 1982. Dubai Bank Limited (name subsequently changed to Union Bank of the Middleast Limited) decided to off-load their investment in AB Bank Limited with a view to concentrate their activities in the UAE in early part of 1987 and in terms of Articles 23A and 23B of the Articles of Association of the Company and with the necessary approval of the relevant authorities, the shares held by them in the Bank were sold and transferred to Group “A” Shareholders, i.e. Bangladeshi Sponsor Shareholders. As of December 31, 2006; the Authorized Capital and the Equity (Paid up Capital and Reserve) of the Bank are BDT 2000 million and BDT 2582.76 million respectively. The Sponsor Shareholders hold 50% of the Share Capital, the General Public Shareholders hold 49.43% and the rest 0.57% Shares are held by the Government of the People’s Republic of Bangladesh. However, no individual sponsor share holder of AB Bank holds more than 10% of its total shares. Since beginning, the bank acquired confidence and trust of the public and business houses by rendering high quality services in different areas of banking operations, professional competence and employment of the state of art technology. During the last 26 years, AB Bank Limited has opened 70 Branches in different Business Centers of the country, one foreign Branch in Mumbai, India, two Representative Offices in London and Yangon, Myanmar respectively and also established a wholly owned Subsidiary Finance Company in Hong Kong in the name of AB International Finance Limited. To facilitate cross border trade and payment related services, the Bank has correspondent relationship with over 220 international banks of repute across 58 countries of the World. AB Bank Limited, the premier sector bank of the country is making headway with a mark of sustainable growth. The overall performance indicates mark of improvement with Deposit reaching BDT 42076.99 million, which is precisely 53.78% higher than the preceding year. On the Advance side, the Bank has been able to achieve 46.32% increase, thereby raising a total portfolio to BDT 31289.25 million, which places the Bank in the top tier of private sector commercial banks of the country. On account of Foreign Trade, the Bank made a significant headway in respect of import, export and inflow of foreign exchange remittances from abroad. General banking department usually performs a lot of important banking activities. General banking department is the department which is mostly exposed to the maximum number of bank customers. It is the introductory department of the bank to its customers. All business concerns earn a profit through selling either product or a service. A bank does not produce any tangible product to sell but does offer a variety of financial services to its customers. The kakrail branch of AB BANK LTD. has all the required sections of general banking and this section are run by manpower with high quality banking knowledge. Hence a touch of rich customer service is prevailing in the branch. After receiving the dully fill up forms and necessary documents bank may open that account. The minimum balance for opening an account must be received in cash. With the permission of manager or head of operation, bank opens account. After opening an account, bank will not issue cheque book immediately rather bank issue a “Thanks letter” to customer’s address by mail for verification. With the thanks letter, bank sends an “Acknowledgement.” When customer comes to bank with acknowledgement, a cheque book requisition form is provided to him. Customer receives cheque book next day after requisition. In savings deposit account, interest is payable to the customer. The interest rate for savings account is 6 percent. Interest is calculated on a monthly basis on the lowest balance in the account during the month. Customer can withdraw twice in a week and maximum limit per transaction is BDT.25 thousand and withdrawal beyond this limit requires 7(seven) days prior notice. If the total withdrawal without notice is allowed twice in a week up to 25% of the balance in the account subject to maximum limit of BDT.25,000 withdrawal beyond the maximum limit will require 7(seven) days prior notice, failing of which interest will not be allowed for the month in which the withdrawal occurs. Interest rate may be subject to change without notice to customer. Interest will be credited to customers account on half-yearly basis. The minimum account opening balance is Tk.10, 000. The minimum balance must be maintained in the account. The amount of minimum initial deposit is the minimum balance for maintenance. The account maintaining fee is Tk.500 and charged twice a year. If the balance falls below Tk.10, 000, bank will charge minimum balance charge Tk.250 half-yearly. The bank reserves the right to realize an incidental charge and or/ to close the account without prior notice to the customer(s), if he/she/they fail to maintain the minimum balance. No interest is payable in current accounts. Current account has advantages over savings account. Advantages are – no such withdrawal limit and overdraft facility. The minimum account opening balance is Tk.5, 000. The minimum balance must be maintained in the account. The account maintaining fee is Tk.500 and charged twice a year. If the balance falls below Tk.5, 000, bank will charge minimum balance charge Tk.250 half-yearly. Deposits held for 7 days to 89 days which is withdrawable on notice are specified as Short Term Deposits. In STD deposit account, interest is payable to the customer. The interest rate for STD account is 4 percent. Interest is calculated on daily basis on the balance in the account during the month. But customer will only receive interest if the balance is 5 lac or above. Interest will be credited to customers account once in a calendar year at the end of December. To qualify for interest any credit into the account must remain deposited for at least 07 days. The minimum account opening balance is Tk.10, 000. The minimum balance must be maintained in the account. The account maintaining fee is Tk.500 and charged twice a year. If the balance falls below Tk.10, 000, bank will charge minimum balance charge Tk.250 half-yearly. Government, Local Bodies & Corporations Account etc. Account closing is also done by account opening division. The customer may close his/her/their account(s) at any time giving notice to the bank. Similarly, the bank on genuine ground may close customer(s) account giving reasonable notice for the action or without any notice if the conduct of 5the account is not satisfactory to the bank or any reason(s) whatsoever. In either case, bank will realize a closing charge from the customer’s account. The usual closing charge is Tk. 300 + 15% VAT. But, the closing charge of account within three months of opening is Tk.500 + 15% VAT. Account holder requires applying in a specific form with full signature. He/she/they must surrender the unused leaves/cheque book provided by the bank. Verification of signature and approval by operation head. On closure of the account, the bank will pay the credit balance (if any) of the account and any interest due to the customer(s). The customer(s) shall surrender the unused cheque books/leaves along with the requisition slip and other materials (if any) supplied by the bank for operation of the account. The customer(s) shall surrender the unused cheque books/leaves along with the requisition slip and other materials (if any) supplied by the bank for operation of the account. Verification of signature and approval of operation head. Account holder must come to bank and fill up an activation form. Signature verification and approval of operation head. To activate a dormant account, bank will charge Tk.500 + 15% VAT as activation fee. Cheque Book Issue Bank provides a cheque book one day after requisition. The name of account holder, account number and cheque number are printed on the book and leaves. Bank usually issue cheque book containing 20 leaves for savings account, 50 leaves for current account. A charge for cheque book is Tk.1.50 per leaf plus 15% VAT. So, Tk.34.50 charged for 20 leaves cheque book and Tk.86.25 for 50 leaves cheque book. One may apply for two books. In that case, Tk.200 + 15% VAT is charged for the next book. All types of bank statements and certificates such as solvency certificates, income tax certificates, B.O. certificates etc. As per customer’s instruction the bank dispatch the account statement/advice to his/her/their address. Moreover, on customer’s request, bank provides statement and certificates related to the account. Various modes have been evolved by the banks for remittance of funds from one place to another. Though AB Bank Ltd. has online banking facility, DD, MT and TT are not practiced now. They are substituted by the “Payment Order.” No. 3, 4, 5 are not the mode of fund transfer but this particular branch performs these three functions also. Issued by a branch of the banks is, technically speaking, not a mode of remittance. It appears to be a remittance to the local creditor. A Payment Order is not a negotiable instrument and hence it can neither be endorsed nor crossed like a banker’s Draft or Cheque. The PO application form is stored as a record as well as a PO issuing register is maintained. If the payment is made by cash, then the application form is stored by “Cash Department.” And when the payment is made through cheque or debiting customers account, then the application form is stored by “Remittance Department.” PO is called the “Manager’s Cheque” because it never bounces. It has no time limit for its validity like six months for cheques.  Check and signed by two authorized officer.  Preserve the application form. During issuance, the PO is signed by two authorized officer. After their signature, they use a P.A. number for preventing fraud and forgery.  Verify the signature with the original application form.  Ensure PO amount not paid.  Message to the branches.  Preservation of application and indemnity bond. If the payment of this order has not been completed and refund is requested, AB Bank Ltd. will endeavors to notify the appropriate office, branch, correspondent or agent to cancel the transaction. If the order is expressed in the currency of the country when the order was issued, refund will be made in such currency. If the order is expressed in any other currency banks only responsibility is to make refund at the current value of such currency at the time such refund is made in the place where the order was issued. Any loss due to fluctuation in the rate of exchange or impairment or destruction of such currency will be assumed by the sender. The Bank need not however, make any refund unless or until they are in receipt of proof satisfactory to them that the payment of this order has not been complete, that this order is no longer operative, that no charge by virtue of this order exists or will be against the account upon which this order was drawn, and that any portion of that account which was charged or earmarked for payment is at our free disposal. All cable and other expenses in connection with establishing such proof shall be borne by the sender. If at the time of the refund is to be made there is no market in the place where this order was issued for currency called for in this order, bank needs make no refund unless and until such a market exists. Receiving cheques from cash section and entries are made to OBC register. Then, stamp OBC on cheques with OBC serial number. Confirmation of endorsement by authorized signature. Making a forward slip narrating number of cheques, total amount and account number to which the amount is to be credited. Attach forwarding slip and cheques only and make a copy of them. Send the cheques with forwarding slip to respective branch. Preserve copy of forwarding slip and cheques with customer’s depository slip. In the same way, when a branch receives cheques or bills for collection from other branches of AB Bank Ltd. then the branch in whose favor the bills are sent, collects bills for those branches. Receiving the cheques for collection. Making DAD (Deposit Awaiting Disposal) Entries. Send a message to depositors whose cheques are dishonored. Making debit and credit vouchers for honored cheques and stored. Face value of cheque should be above 5 lacs. Paying banks should be within Motijheel area (5km around the central bank). On the other hand, cheques those are required to be cleared through clearing house on the next day at which it is sent for clearing, are called the “Normal day cheques.” Normal day cheques send to head office, next day they are send to clearing house. It takes one more day for clearing than same day cheques. Clearing house arranged twice in a day – in morning and after launch. In morning, 1st house starts at 9:30 a.m. and clears the normal day cheques. 2nd house starts at 11:30 a.m. and clears the same day cheques. After launch, the dishonored cheques are returned to the collecting banks. Making computer (Clearing and Online deposit) Entries. Making a bank wise summary and attach it with cheques of respective banks. Send to the head office. During computer posting, the cheques deposited by customers of a branch itself, credits the customer’s account. But this amount is not included in available balance of that account. This credit is called “Shadow Credit.” If deposited cheques are honored, the customer’s accounts will be auto credited by central clearing of the bank. Sometimes, a branch collects cheques for other branch or deposited by account holder of another branch. Then, the collecting branch credits (shadow) their own DAD account. If cheques are honored, then collecting branch credits customer’s account directly by debiting their DAD account. If deposited cheques are dishonored, the customer’s accounts will be auto debited by central clearing of the bank. Financial Activities: Preparation of daily position, additional information for Thursday position, monthy statement, quarterly statement, half yearly and yearly statement etc. Moreover, the Yearly Budget for the Branch also prepared by the FC Department. If the budget is approved by the Head Office, FCD analyses the progress of achievement as per budget time to time. HRM Activities: Joining of new employee in the branch, release order, leave permission, payment of salaries etc. That is FCD acts as HRM department for the branch. Branch Maintenance and Management Activities: All the activities those facilitate the smooth operation of the Branch are done by the Branch FCD. It also includes safety of vaults, requisition of stationeries, storage and distributes among the departments, maintenance of computers, and network server, and power generator, payment of bills by the Branch, keep the Branch office and surroundings neat and clean, arrangement of monthly meetings and take necessary decisions and all other necessary works. Responsible for overall Branch accounting performance including daily balancing of GL account outstanding appeared in the Daily Balance Sheets and other detailed ledger/ subhead details etc. Originating depreciation, accrued expenses and other related vouchers. Custodian of stitched and sealed vouchers. Send statements and returns of Head Office and Bangladesh Bank. Supervises the safe keeping of books/computer printouts and vouchers. To complete the double entry requirements the Account in-charge shall pass the adjustment, closing and reversing entries. Attends the reconciliation statement of Banker’s and ABBL Head Office Accounts. Advances allowed for retirement of shipping documents and release of goods imported through L/C taking effective control over the goods by pledge fall under this type of advance. When the importer failed to pay the amount payable the exporter against import L/C, then ABBL gives Bills under Letter of Credit (BLC) to the importer. The importer will bear all the expenses i.e. go down charges, insurance fees, etc. and the ownership of the goods is retaining to the bank and the outstanding Bills of Exchange is transferred to Bills under Letter of Credit (BLC) account. Usually the loan is granted and allowed 21 days time to make payment. This is excluded by the Borrower(s) to release shipping documents for taking delivery of merchandise, which is hypothecated, to bank. The goods are handed over to the importer under trust with the arrangement that sale proceeds should be deposited to liquidate the advances within a given period. The borrower(s) agree to take delivery of the merchandise as the banks agent(s) arid acknowledge(s) that the bank remains owner of the goods and they will he holding the goods on behalf of the bank as trustees until complete repayment of the debts to the bank. Usually the loan is granted on the basis of trust and is allowed 60-90 days time to make payment. For giving these types of loan, officer makes loan proposal and sends it to H/O for approval. Alter getting approval from H/O, bank grants loan in the form of LTR. It’s needless to say that bank only deals with the documents, not with goods & services in case of foreign exchange business. The L/C is an irrevocable one, preferably confirmed by the advising bank. If the exporter wants the L/C to be transferable, divisible and advisable, he should ensure those stipulations are specially mentioned in the L/C. When export L/C is transmitted to the bank for advising, the bank sends an Advising Letter to the beneficiary depicting that, L/C has been issued. The exporter make and shipment of goods as per the agreement. Respective officer must scrutinize all the documents with reasonable care to confirm whether the terms and conditions are right or wrong. The period prescribes by the Bangladesh Bank within which exporter must receive full foreign exchange proceeds of exporter in four months if the receipt of the full proceeds of any shipment is delayed beyond the period without a special authority from the Bangladesh Bank. The exporter will be liable to action under FER Act, 1947. An exporter is one who exports the goods to another customer whether n domestic country or in abroad. In exporting the stipulated goods he nay requires financing. So export financing may be required at two stages. Pre shipment credit, as the name suggests, Is given to finance the act of an exporter prior to the actual shipment of the goods for export. The purpose of such credit is to meet working capital needs starting from the point of purchasing of raw materials to final shipment of goods for export to foreign country. Before allowing such credit to exporters the bank takes into consideration about the credit worthiness, export performance of the exporters, together with all other necessary information require for sanctioning the credit in accordance with the existing rules and regulations. Packing Credit. is essentially a short-term advance granted by a Bank to an exporter for assisting him to buy , process, manufacture, pack and ship the goods. This type of credit is sanctioned for the transitional period starting from dispatch of goods till the negotiation of the export documents. Exporter can get PC up to 10% of the Export L/C value and has to be liquidated by negotiation / purchase of Bills of Exchange. The drawings of P.C are required to be adjusted fully once within a period of 180 days. A back-b-hack letter of credit, a new L/C (an Import L/C) is opened on the basis of an original L/C (an Export L/C). Under the Back -to -Back concept, the seller as the Beneficiary of the First L/C offers it as a ‘security to the advising Bank for the issuance of the second L/C. The Beneficiary of the Back-to-Back L/C may be located inside or outside the original Beneficiary’s country. As per instruction of the central bank commercial banks are rendering back-to-back L/C at nil margins. Foreign Documentary Bills Purchased (FDBP). Local Documentary Bills Purchased (LDBP). Inward remittance covers purchase of foreign currency in the form of foreign T.T., DL, and bills etc. sent from abroad favoring a beneficiary in Bangladesh. Purchase of foreign exchange is to be reported to Exchange control Department of Bangladesh bank on Form –C. Through these exchange houses money come from abroad to Bangladesh the customer can collect the money by submitting specific document. Outward remittance covers sales of foreign currency through issuing foreign T.T. Drafts etc. as well as sell of foreign exchange under t and against import hills retired. Sale of foreign exchange is reported to Excel control Department of Bangladesh flank on form T/M. Foreign exchange means foreign currency and includes all deposits, credits and balances payable in foreign currency as well as foreign currency instruments such as Drafts, T.Cs, bill of exchange, and Letters of Credit Payable in any Foreign Currency. All foreign Exchange transactions in Bangladesh are subject to exchange control regulation of Bangladesh Bank. In order of effect foreign exchange transactions, bank maintains accounts in their own name in various foreign currencies, with banks overseas. These accounts are credited with the claims receivable overseas in the respective currency of the country concerned, and debited with the payments denominated in the respective currency of the country in which the accounts are maintained. “Nostro” is a Latin meaning “OURS”. So Nostro account means “Ours” account. Nostro accounts are just reflection or minor accounts showing the position as it obtains in the foreign currency account with each correspondent bank. In the Nostro account, the bank will show the foreign currency accounts of each transaction and alongside the respective items the domestic currency equivalents are indicated. When the bank the domestic currency equivalents are indicated. When the bank makes a purchase of foreign currency, the foreign bank will credit the Néstro account. When it makes a sale it will result in a debit in the Nostro account. In the mirror account the purchase will be debited and sale credited. The Nostro accounts reflect what the foreign correspondent owes to the bank and what the home bank owes to the foreign bank. The “Nostro” account is termed as “ Vostro” account by the correspondent bank. The word “Vostro” means “YORS”. A Vostro account or “Your Account” is also called a local currency with local banks and such accounts are called Vostro accounts. Generally Vostro accounts are maintained by foreign correspondent banks on a reciprocal basis to effect payment as well as receive payments on behalf of their clients. Issuance of TC, Cash Dollar/Pound. F/C Account opening & filing. Attending all related correspondence to other Bank or Institution. How much information should the firm collect on each credit applicant? How should the credit – related parameters of credit applicants be estimated (borrowers selection)? There are several sources of credit information about potential customers, proceeding from the least costly to the most costly. The Seller’s Prior Experience with the Customer: One of the cheapest and most reliable sources of information about expected future payment patterns is that customer’s history of dealings with the seller. If the customer has paid promptly for the last 20 orders, it is very likely that the customer will pay promptly for the twenty- first. To obtain information on the customer’s history of payments to the seller, the credit analyst queries the seller’s database of prior customer payments. Credit Ratings and Reports: Several firms are in the business of collecting and selling creditrelated information to sellers. Some of these investigation firms report on wide varieties of buyers while others report only on buyers in a single industry. Most of these agencies provide several types of service. They issue ratings based on buyer’s financial strength and payments to sellers. They provide reports, which may include the buyer’s financial statements and results of an investigation into legal records regarding the buyer’s business dealings. They collect and distribute trade clearances, which are lists of amounts owing, amount past due and histories of payments by buyers to their trade creditors. Personal Contact with the Applicant’s Bank and Other Creditors: A more expensive (but very reliable) source of information is the applicant’s current creditors and its bank. To obtain such information, the analyst may personally contact these sources to discuss their experiences with the applicant. In this way, the analyst can verify the information in credit agency reports and gain other insights that are not available from these reports. Unfortunately, such an investigation usually quite time consuming. Analysis of the Applicant’s Financial Statements: Any credit applicant’s ability to pay is in great part dependent on its financial condition. Analysis of this financial condition can thus considerably aid in credit evaluation. Financial statements must first be obtained this may entail significant effort if the applicant firm is not publicly traded. These statements must then be examined and analyzed. This analysis often begins by making adjustments to these statements to utilize accounting conventions other than those chosen by the applicant’s accountants. Such adjustments are made if the analyst believes that the conventions used did not do the best job of portraying the economic health of the firm. . Once these adjustments are made, ratio analysis and / or statistical analysis is then applied to these statements to assess the financial health of the applicant. Customer Visit: One very expensive option in the collection of information is is for the credit analyst to visit the applicant. An on- site viewing of the applicant’s facilities and discussions with the applicant’s management can provide insights and information that cannot be obtained in other ways. For example, the credit analyst can obtain impressions on the competence of the applicant’s management and on the physical condition of the applicant’s plant, service facilities and equipment. There are not specific credit agencies in our country, which can assist banks by giving reports on parties/clients. Bangladesh bank has recently opened. “Credit information Bureau” through which some information regarding borrowers are supplied. CIB must be compulsory for that compulsory for that loan which covers the range above Tk.50 000. In considering the customer satisfaction on the service the following recommendations are made, which will benefit both ABBL and its customers. In case of reliability customers are not satisfied. ABBL should ensure that the customers are not only getting accurate information but also the promised service in the first and promised time so that customer can highly rely on our service. In case of responsiveness the customers are dissatisfied. So, necessary steps should be taken for improvement. Giving the prompt solution or informing the customer about the action taken time and also proper maintenance of this informed action taken time could improve the customer satisfaction from very to high level. Again in case of assurance, right solution should be given so that the customer feels more confident after getting our service. Though customers are very satisfied with the empathy. Proper warmly greetings, more polite and helpful behavior could bring the highly satisfied customer. ABBL should be more conscious to deal with its customers as the customers have now more choice to bank with and there are institutions that are intensifying competition by focusing more on online customer service. AB Bank Limited are doing its business successfully, which indicates their well performance in foreign exchange. Because of their well performing foreign exchange the bank has been able to reduce its bad debt every year. AB Bank provides different facilities. It has SWIFT facilities. Very few bank in our country offer this. AB Bank adopt online banking, which bank operates for their customers’ facilities. The more effectively banks handle foreign exchange business, the more likely they will become productive.